Childhood obesity prevention needs to be a priority for all moms but it’s especially important for Latinos. Pediatrician and researcher Shari Barkin was studying the effects of violence on children in Los Angeles several years ago when she continued to notice the numbers of childhood obesity Latino children she encountered. Curious and concerned, Dr. Barkin began applying for grants to study the issue. What followed was a flood of opportunities from state and federal agencies to provide her with the funding to examine Latino families and what factors contributed to weight gain in these young children. Dr. Barkin, who now leads a group of pediatric obesity researchers at Vanderbilt Children’s Hospital in Nashville, looks at how incorporating activity into Latino children’s lives could help with childhood obesity prevention. Her initial work centered on prevention and early intervention of obesity in pre-adolescent Latino children. But she soon realized that she’d have to go back even further—to preschool-age children—to reverse the tide. Dr. Barkin started by working with the Nashville Parks and Recreation Department to develop and test how utilizing family-based, community activities at local recreation centers could affect obesity rates. She expanded on that work when she was chosen as one of 20 researchers by Salud America, a national program of the Robert Wood Johnson Foundation that seeks to unify and increase the number of researchers who can help come up with effective interventions to stem the tide of childhood obesity among Latinos. The goal of the researchers, including Dr. Barkin, is to help impact policy and come up with suggested and sustainable environmental changes that can help reverse and prevent childhood obesity. Some of Dr. Barkin’s most recent work, published by the American Academy of Pediatrics, studied the activity levels of a group of Mexican American parents and their preschool-aged children. The result: children in the study modeled the largely sedentary model of their parents. The families were fitted with devices to monitor their muscle movement. 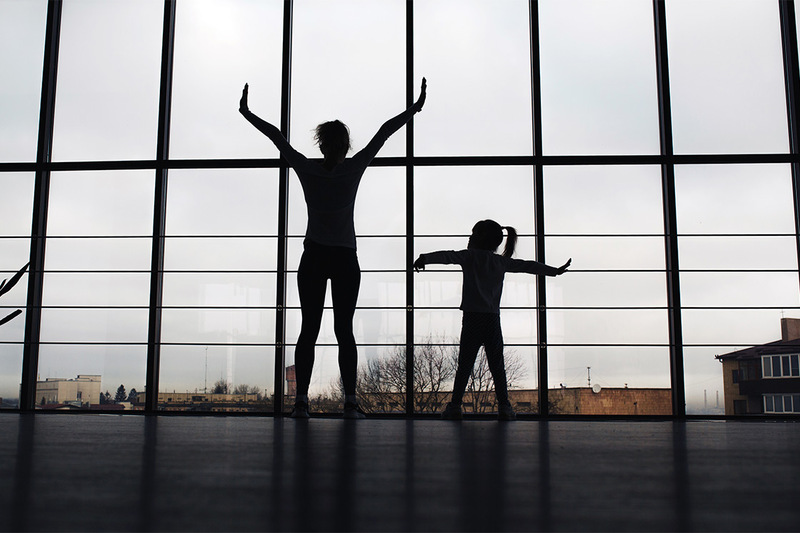 Researchers learned that the largely inactive adults were setting inactive models for their children. “The norm for these children was that they were becoming sedentary,” she said. Dr. Barkin said a large part of her work involves examining the cultural factors that are potentially affecting the obesity crisis, but also looking for sustainable ways to reverse the trend. She believes that the key to childhood obesity prevention is activity time spent as a family. In other words, the family that stays active together stays healthy together. In working with some of the Mexican American parents in her research, she learned that most of them did not consider incorporating activity into the day as a part of good parenting. She said the outcome of some of her work has led some families to keep up their activities at local recreation centers. “For these families, just introducing them to the idea that being active is good made a difference,” she said. Dr. Barkin’s work also is gaining international notice. Her research paper “Changing Growth Trajectories in Early Childhood with Overweight Latino Preschoolers” was recently lauded at the Global Congress for Consensus in Pediatrics & Child Health in Paris. “We do feel like we’re onto something important,” she said, adding that she and other researchers are driven to “crack the code” of obesity in children, an area she said she considers one of the major public health issues of our time. For parents who are worried about what all of this means to their children and family’s health, Dr. Barkin encourages them not to give up. “There’s always hope,” she said.